Search engine optimisation: one of the most (if not the most) controversial digital marketing topics. Some say that content marketing is the new SEO. Others say that it’s possible to link your way to the top of Google. Matthew Woodward, on the other hand, will tell you that it’s possible to rank a blog (and yes, even make it to the top 100 in Technorati) with zero intentional backlinking efforts. There seems to be no clear answer to what works and what doesn’t … because, well … there is no clear answer to what works and what doesn’t. Different people with different skill sets can make different things work for their website’s SEO. In short, what worked for Rand Fishkin may or may not work for you. SEO doesn’t have to be difficult though — you just need to think it through, discover what works best for your site, and (above all) track your progress to see what is/isn’t working. To get you started with that, here’s a colossal list of 101 SEO tips (similar to a recent post we ran on 101 conversion optimisation tips). It describes a variety of SEO strategies and tips — every webmaster in every industry will be able to take something (or 101 things) valuable away after reading this post. Just like every other industry, SEO has its own set of jargon and legalese. Here are a few definitions of very fundamental terms, just to make sure we’ve covered all the bases. Now that we’re done with that, let’s get into our first segment on keyword research & optimisation. Image credit: Kristina B via Flickr. Use an Excel sheet to document the information (competition and monthly traffic metrics) you’ll gather for each keyword from the following steps. At the end of it, you’ll be able to quickly see which keywords are best for you to target. Use Google Keyword Planner to discover the search volume and PPC competition of each keyword, or even a more advanced paid keyword research tool like NinjaOutreach or Long Tail Pro. Use Google Instant to brainstorm new keywords ideas (as you type in a word or phrase into Google’s search engine, a list drop-downs to autocomplete your search query — use this list to brainstorm keywords). Use Soovle to brainstorm keywords from Wikipedia, Amazon (great if you do affiliate marketing), Yahoo!, and more. After searching Google for “your keyword” (keep the quotes), note the number of results listed (located beneath the search bar — this is the keyword competition). Install WordPress SEO by Yoast (by far the best SEO plugin). Use your keyword in the beginning of your post/page SEO headline (what shows up in Google), but ensure that you craft a click-generating, catchy title for your actual post headline (what readers see). Use relevant keyword in the alternate description of images you upload to the post. Name your image file like this before upload: your-keyword-here (with the dashes — it’s easier for Google to read and interpret as relevant that way). Ensure that all images are as small as possible, without compromising image quality. Use a jpg optimiser if necessary. Use your keyword and relevant phrases twice in H2s, H3s, and H4s throughout your blog post. Generally speaking, your keyword density shouldn’t exceed 1%, otherwise readability suffers. Your readers are always the most important part about a blog post, so never compromise writing quality for SEO benefit. In other words, write for readers and not for robots. 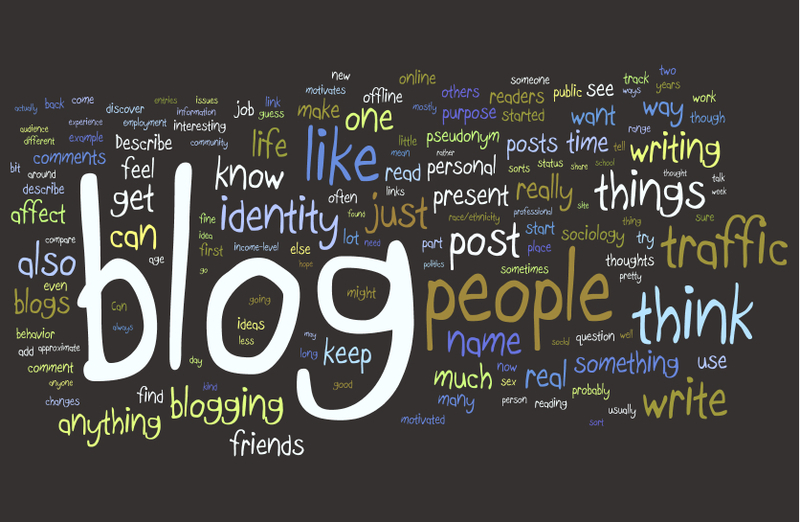 Tag your blog post with appropriate keywords (between 3-5). Include your general keyword as the “Focus Keyword” for each post/page with WordPress SEO (right beneath your post editor). Use LSI (Latent Sematic Index) keywords — basically synonyms and relevant phrases that help define your focus keyword — in your blog posts. Mention your keyword once or twice in the meta description. At the same time, make those 156 characters of copy as catchy as possible. If Google sees a high click-through for your blog post in SERPs (search engine results pages) they are more likely to promote your rank, as readers obviously enjoy your content. A keyword in your subdomain or domain name is generally a good idea, but EMDs are usually a no-no. When in doubt, always go with your brand name. The URL of a blog post or website page should have the keyword in it, e.g. www.ventureharbour.com/101-seo-tips. Know this: content marketing isn’t just a means to increase SERP rankings. Far from it — content marketing is all about building brand visibility online and generating traffic. While you’re executing a content campaign, though, you end up with quite a bit of SEO benefit on the side, which is why it ends up being an integral part of an SEO campaign; the two complement each other. Guest posting has always been a crucial element of successful content marketing. Don’t use anchor text too often for your guest post author link(s). Remember that guest posting is all about generating traffic, not about getting backlinks. Long-form content performs better in SERPs than short-form content. The average first-page result has over 2000 words of content (which is why we here at Venture Harbour like to produce monster, 2500+ word posts with a good number of tips). It also gets a lot more social shares due to higher perceived value. This really should go without saying, but unfortunately it doesn’t in this day and age of black-hat SEMs and SEOs. Your content needs to be good great so fantastic your readers check your blog every day/week, devouring each post you publish. Infographics are awesome — they do amazing things for content marketing campaigns. They get a boatload of shares, attract lots of comments, and generate numerous backlinks when you allow users to share your infographic on their blog (with attribution to you for original publication, plus a link). In short, they can help you reach that elusive status of “viral”. Increasing your content quality in turn decreases bounce rate and increases average visit duration (more on those later), which Google takes as a positive signal. Read blogs related to your industry, then steal their ideas. No, not their content, their ideas (and no, that’s not illegal). Leo Widrich (co-founder of the popular social tool Buffer) did it when he launched a huge guest posting campaign. Increasing your blogging frequency increases your organic (and overall) traffic. The more comments you have, the better (tells Google that people are interacting and engaged with your site). Build your content marketing around a specific niche in your industry — it’s easier to build brand authority when you specialise. That’s why Venture Harbour used to focus on providing marketing services to entertainment websites. Creative & original may not always the best way to go with your content ideas. Why not? People might not be searching for the content, as it might not be satisfying a knowledge demand. Consequently, organic traffic for that piece of content will be virtually nonexistent. Develop a personality for your content. An identifiable one that stamps your brand’s mark across all the content you produce. Don’t try to please everyone, because it’s impossible. If you try, you’ll come across like an unopinioned coward (sorry if the word “coward” doesn’t sit well with you, but I can’t please everybody!). Image credit: Robert S. Donovan via Flickr. Social Crawlytics allows you to analyse your competitor’s most shared blog posts. Use this to get an idea of the type of content you should be creating that has the potential to go viral (and hence will bring you numerous social shares). Tell your audience to share your blog posts at the end of every one. Social sharing just slips readers’ minds — by actually telling them to share, you at least raise awareness that they could share. If you’re using Jetpack’s default social sharing buttons. Get rid of them. Now. Instead, use something like Digg Digg or Flare, they look nice, grab users’ attention, and convert visitors into a social share. Or better yet, get a custom-coded plugin that fits your very own website and brand design. Create seriously awesome, long guides that are meant to be THE resource on a specific subject. These attract huge amounts of social shares, backlinks, and, needless to say, traffic. Something like Qualaroo’s guide to CRO. User engagement is a big thing, because it decreases your bounce rate, and increases your average visit duration, social share count and pageviews per visitor, website metrics that Google values highly. Format your text to make important stuff prominent, and thereby easier for users to read. Use bullet-points and numbered lists to make your content skimmable. Shorter paragraphs are really, really good (seriously — this isn’t high school English), because readers love them. When’s the last time you trudged through a 25-sentence monster paragraph? Me, neither. Page load speed is crucial — not only in Google’s eyes, but also for conversions. Which is why Venture Harbour wrote a detailed guide on the subject. Add a “popular posts” widget to your sidebar to increase pageviews and keep readers browsing your site. Establish a strong internal linking structure in your blog posts that sends readers over to related posts, extending their browser session. Create Squidoo, Hubpages, Weebly, and Tumblr pages on topics related to your brand. For example, if you are a kitchen door replacement company, write about DIY kitchen door replacement and provide a branded link at the end to your main website. It’s not so much for the traffic as it is for the branding, the backlink, and the ability to raise awareness in your niche. Your logo defines your online presence. Don’t go cheap with it (in other words, avoid Fiverr). Your website design doesn’t have to be unique, but it’s always better to go with a custom-made WordPress theme design. If you don’t have the budget for a web designer and choose to go with a standard theme, at the very least customize it. On your website, display a tagline. “Tagline: a phrase that lets your visitors know exactly what you’re about the minute they visit your site” (thank you Chris Ducker!). Brand your backlink anchor text. Example: Venture Harbour (branded link) vs. digital marketing agency (non-branded link). Your about page contributes to your brand personality in a huge way. Make it count. 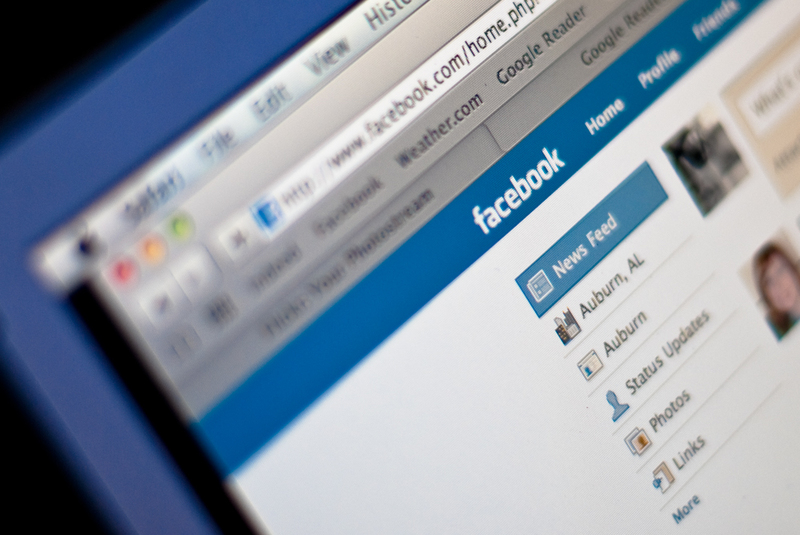 Build strong social profiles. Social profiles are as much branding as they are social media marketing. Develop a voice for your blog. Generally, it’s best to stay away from dry, boring, and formal. Become known for something in your industry. HubSpot is known for great webinars (amongst numerous other things), Bufferapp for in-depth blog posts, and KISSMetrics for A/B split testing. Press releases really do still work. It’s just that you have to be careful with them. Image credit: Alexander Kusnetzov via Flickr. PR = page rank, a metric ranging from 1-10 that calculates the quality of a blog by the quantity and quality of it’s backlinks. A backlink from a PR 7 website is more valuable than one from a PR 2. 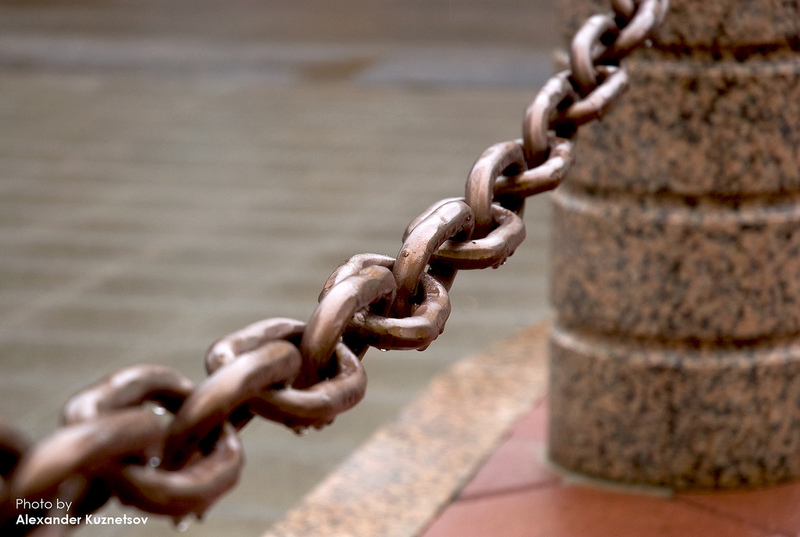 With linkbuilding, quality is always over quantity. 10 relevant backlinks from high-PR blogs > 1000 backlinks from random article directory submissions. Don’t overoptimise anchor text. Try branded hyperlinks or more generic keywords, like “read more, click here”, etc. Links from .gov and .edu domains are much more authoritative and beneficial than backlinks from a .com, .net, etc. Accordingly, it’s very difficult to get a link from a .gov or .edu. Content syndication is a potential powerhouse for backlinks — but it hasn’t been properly explored/tested yet. High-PR audio sharing sites like BandCamp and Reverbination are simple ways to get backlinks. Building your own blog network is a (very) expensive, somewhat grey-hat tactic, but it evidently works. The Yahoo! Directory, albeit expensive, provides you with a very high-quality, contextual link. Submit your site to Technorati (PR 8) for a backlink. Submit your site to AllTop (PR 7) for another backlink. A few minutes of work for two incredibly high-quality links from authoritative sites. E-mail webmasters who have broken links on their website and offer to allow them to replace the link with a live one to your website. Not all of them will respond, and even fewer will actually do what you ask, but it has worked for some in the past. Any link in your Google Plus profile “Introduction” section is dofollow. With enough engagement and interaction on your profile, you can get your profile page to a high PR. Thanks for the tip, Brian Dean! A YouTube profile also gets one dofollow backlink (NOTE: video description links are nofollowed). Again, to make that link count you’ll have to build up engagement and traffic to your YouTube profile. But you’re already doing that because video marketing is such an awesome traffic strategy, right? Guest posting for linkbuilding is dead. In other words, it’s not as effective as it used to be (or, at least, it won’t be once Google figures out how to disavow an anchor-text optimised guest post link in author bios of guest posts). Your high-PR competitors obviously have linkbuilding strategies that work. Spy on them with the use of a few nifty SEO tools. Bloggers (and this goes especially for high-profile ones) link to other bloggers and webmasters that they know and trust. That’s another reason to make connecting with industry leaders in your niche a priority. If you buy a product/service and if you’re happy with it, give the original creator a positive testimonial. Often, they’ll “reward” a testimonial with a link to a website. For some reason, that’s especially true if you’re in a marketing-related niche). One of the most important things about backlinks is diversification: get backlinks from a variety of referring IPs, domains, and addresses. While this hasn’t been proven or set-in-stone, many believe that the quality of the sites you link to is an indicator of the quality of your own site for Google. Keywords like “sponsor, advertiser” etc. around a backlink can convey negative connotations to search engine spiders. The older your domain is, the better. …track, track, track your progress. If your SEO firm isn’t tracking your progress, then they probably aren’t worth hiring. You don’t need to submit each blog post URL to search engines. Pinging is a thing of the past — the algorithms have progressed beyond needing to be notified when a website updates with new content. Read these, and then re-read them. Watch these when in doubt. Duplicate content on your own website is a no-no (e.g. the same post published twice). Across different sites, duplicate content is NOT a problem, contrary to popular belief. If you must have duplicate content on your website for some reason (like a sidebar, for example) use rel=”canonical” to prevent spiders from indexing the content. Google Authorship increases click-throughs for your SERP listing, which leads to increased rankings. Before downloading and activating a WordPress theme (or getting someone to design your own), make sure that the code is properly optimised. Whatever media you upload should have alternative text in the following format: your-keyword-here. Google doesn’t look on a private WHOIS too kindly, so make your contact information as a webmaster public. Use a country code top level domain (ccTLD) when trying to rank for a particular place, e.g. wearelondonplumbers.co.uk. Create and upload a sitemap for your website. Constantly update your website and blog. Search engines like to display recent content to their users. Don’t make a URL for specific pages unnecessarily long. Not only is it harmful to SEO, but it makes for an unattractive link. Structure your website — draw up an architectural plan for it before you start the building process. If you’re going for local SEO, try to get a server close to the place you try to rank for. YouTube’s organic traffic increased notable after the Google Panda update (well, duh, Google owns it). So, make YouTube marketing a priority, provided that video content makes sense for your particular niche. More direct traffic = high quality website = higher rankings. Getting your visitors to come back a second, third, or fourth time signals to Google that your website is a useful resource for visitors. Avoid getting DMCA complaints on your website (especially important for entertainment/film streaming websites). It hurts your rankings. We just covered a lot of ground on SEO, so if you’re suffering from information overload right now (I know I was after researching this post! ), take a breather. Bookmark and come back to it later and digest it in blocks. If you’re still hungry for more, here’s a great post by our friends at SingleGrain on effective SEO techniques. But more than learning and remember these tips, make sure you implement these on your own website, starting today. But hold on – mind leaving a comment and sharing this massively useful resource to your social profiles (it helps our SEO, y’know!)? Jonathan John you are phenomenal in this post and write beautifully about SEO. You share almost everything which is important in SEO. These 101 SEO tips are useful for everyone who is new in this filed. Some tools are new for me and soon I will use them. I own a small business and wear many hats, as do most business owners. I get many emails promising 1st page google listing, I know this is not the way to choose an SEO company. I am thinking of going with a local company, which looks pretty good on the surface. But, what do I look out for, and how much should I expect to pay for a basic SEO package?